Are malt whiskies ‘brands’? No, they’re not, argues Charles MacLean, and using the term as a supposed guarantee of quality is dangerous – especially in relation to NAS malts. Malts, not brands: Is the use of the b-word helpful for single malts? This is from his excellent book Making Your Marque: 100 Tips to Build Your Personal Brand and Succeed in Business, in which he, in common with most business gurus, thinks of you and I (and everything else) as ‘brands’. It may be pedantic of me to think this stretches the definition of the word beyond its true meaning, which my dictionary defines as ‘a particular class of goods (as if distinguished by a trademark)’, but I believe the term sits uneasily on certain products, not least Scotch malt whisky, and in this article I will argue that, increasingly, marketing managers are out of step with consumers in this regard. My thoughts are limited to malt whisky consumers: all blended whiskies, Scotch or otherwise, are brands – and none the worse for being so. In the first place, we consumers do not think of malts as ‘brands’, just as we do not think of fine wines as ‘brands’. Châteaux, estates, domaines, vineyards – yes; ‘brands’ – no. The word does not sit comfortably; our relationship with these products is more personal than the term implies. Sure, there are a small number of malts which might correctly be described as ‘brands’ – Glenfiddich, Macallan, The Glenlivet, Glenmorangie – in other words, the market leaders. But the rest…? Arising from this, the usual tactics employed in ‘brand marketing’ – above-the-line advertising, TV and radio commercials, point-of-sale materials, direct mail – invariably fail in relation to malt whiskies. We like to feel we make our own discoveries; we don’t like being advertised to, or at. This is why social media is so much more effective – personal recommendations, blogs, tasting notes, information, education, websites such as Scotchwhisky.com. There are few subjects which attract such enthusiastic interest and discussion as whisky, particularly Scotch malt whisky. As well as making our own discoveries, we like to explore. Like wine drinkers, malt whisky drinkers tend to be pluralists; we are not ‘brand loyal’, to the exclusion of other wines/malts. I once knew a man who drank nothing but Sauternes – even with red meat! Think what he was missing! The same might be said of the smoke-head who drinks only Laphroaig. The success of Scotch whisky was, and to a large extent still is, based on consistency of flavour. Consistency may be considered to be synonymous with integrity, which is why distillers and blenders go to great lengths to maintain the integrity of their products. Then they are handed over to the marketing people, for whom brand-building is more important than flavour; who believe that once their brand name is established it will act as a guarantee of quality/consistency, even if the contents of the bottle have been changed; who see their goods as ‘products’ which may be altered with impunity to meet supply and demand so long as they are ‘guaranteed’ by the brand name. This is dangerous, but it is increasing. We can all name once-loved malts which no longer taste the same as they did five or 10 years ago. We can all think of malts which aspire to be brands, backed by expensive promotion, striking packaging, mock-rarity, ‘collectability’, usually with a hefty price tag. While such products might appeal to consumers unfamiliar with malt whisky or collectors who buy only for investment, they fail to convince enthusiasts. And since enthusiastic malt whisky drinkers form the core market for the product and write/talk/blog about it, putting brand marketing above flavour ultimately damages not only the ‘brand’ itself, but the whole malt whisky category. This brings me to the thorny question of removing age statements. Once considered a guide to quality (‘older is better’) and a justification for high pricing (what in advertising parlance is termed ‘permission to buy’, as in: ‘I am prepared to pay for age and rarity’), the whisky industry now refutes this and argues that it is up to the consumer to make up his or her own mind, without any guidance afforded by an age statement. We all know that advanced age is not an absolute guarantee of quality; we might even go so far as to say that some malts are better drunk young. We are increasingly aware of the fundamental role played by the cask in developing flavour. 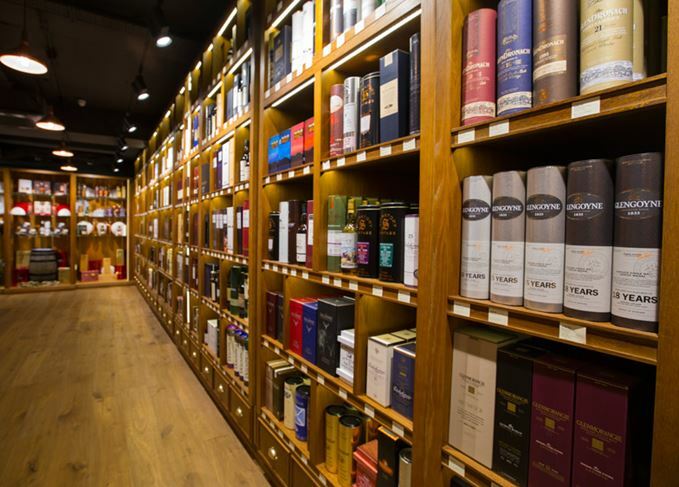 We also know that the current global demand for whisky – Scotch and non-Scotch; malts and blends – is putting severe pressure on the stocks of long-aged whiskies accumulated during the years when supply outstripped demand. But, although these factors might justify the removal of age statements, in no way do they justify the passing off of inferior expressions, usually at inflated prices, under the supposed guarantee of quality bestowed by the brand name.